Sparky blue festive polish for the 4th! Thrifted Levi's that I bought for $2. My plan was to do this awesome project with them. The project was a MAJOR FAIL. I looked inside and WooHOO they were my size. I am making them into cutoff shorts to wear on the 4th. So yeay! My new favorite chapstick. I love how it says, "NO FAKE CRAP." My addiction. Dark chocolate covered espresso beans. I am a little bit of a germ freak AND an avid thrifter...SO this is my all time favorite hand sanitizer. Why does it make me say yeay? Because it is safe for kids, alcohol free and smells like an orange 50/50 bar...yeay! Have a great fourth of July weekend everyone!! Love that sparkly nail polish! 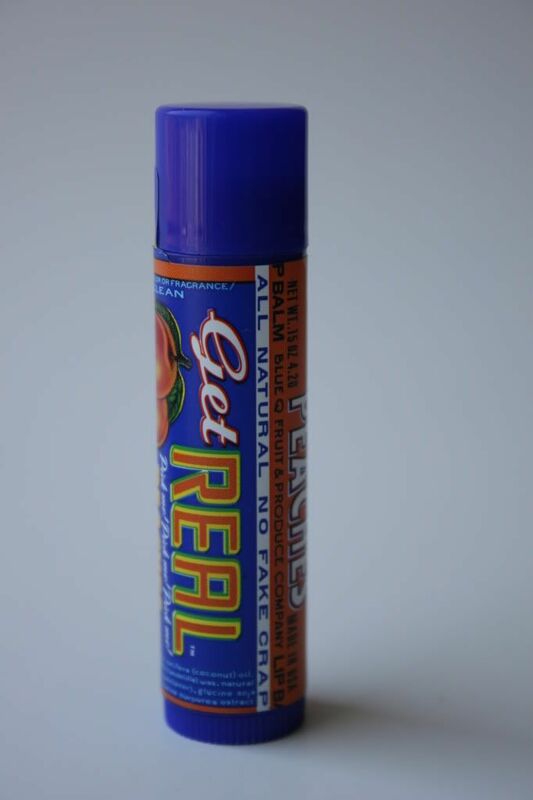 And now I'm on the lookout for this chapstick. The label made me laugh! Dying to try those espresso beans - when you mentioned them before they sounded so yum! Would love to know where you find your yeays. Happy 4th! No way.. $2?!?! I totally got ripped off for my Levis! Cut off shorts - nice! Even I'm almost getting excited about the 4th July here in Sydney! Is that polish "Last Friday Night"??? I LOVE IT. WANT! Ginny- yep that's the color! Great round up...No Fake Crap..too funny! Hope you have a fab 4th too! love the levi's great steal!. Oooooh, I want that nail polish! Actually, I need it for the fourth! That chap stick cracks me up :) Straight to the point! love and want that nailpolish!! really yeay stuff there. The first one is the yeayest thing. 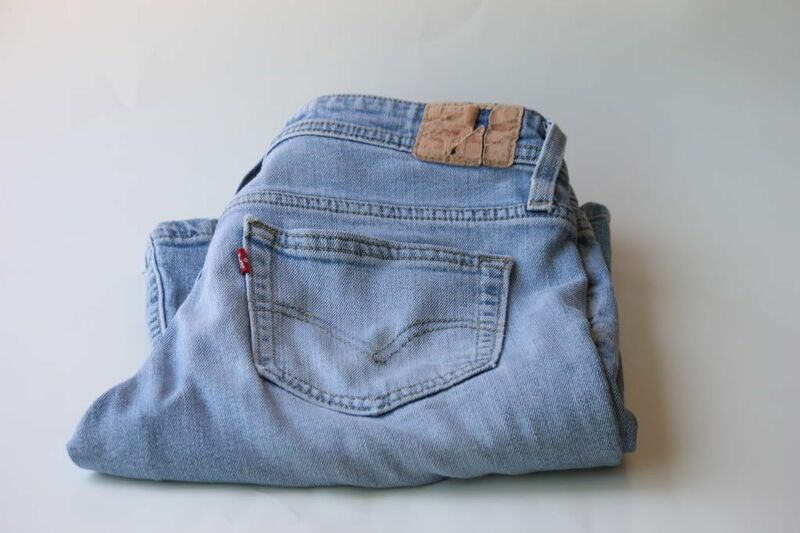 The second yeayest thing is the Levi's jeans, looking forward to see what you're going to do to it. haha "no fake crap" thats awesome. that nail polish is so pretty, love. that nail polish is so pretty! I love anything and all things glittery! 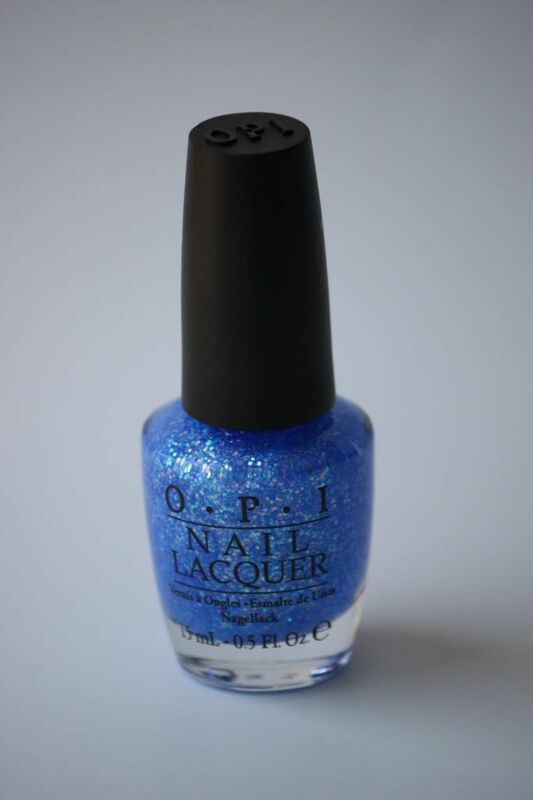 sparkly blue so perfect for the fourth! love it! I love that polish color! Perfect for the summer! ps--you're gonna look so cute in those thrifted cut-offs for the 4th. Glitter nail polishes are the best! How are you? How's your week been? I bet it's been better than mine. I've had one problem after another with computers this week so I apologise for not keeping in touch and up to date with your posts. It's school holidays for 2 weeks here too so keeping the kids organised has kept me busy. I love those kale chips. It's not something I see a lot of but am wondering if I could subsitute spinach or silverbeet. Looks delicious anyway. Hope you have a lovely 4th of July and I'm looking forward to hearing all about Max's birthday party. I'm sure it will be a huge success. chocolate covered espresso beans. yum-o. 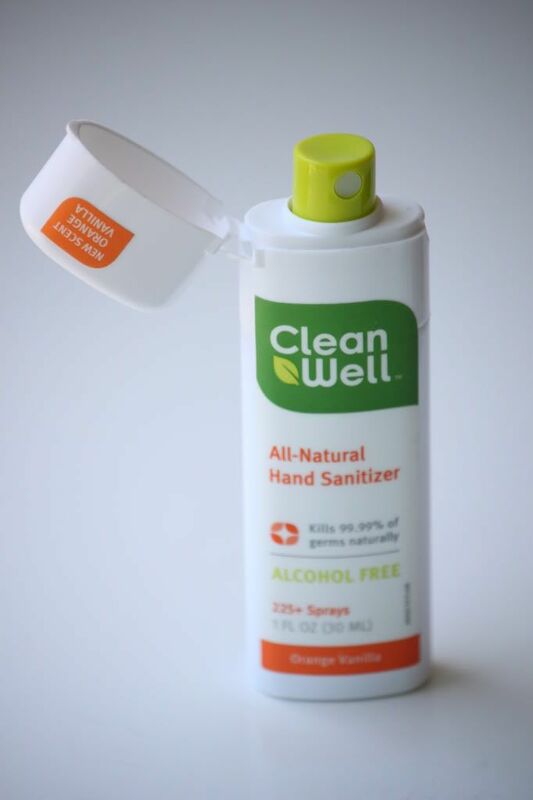 I have that Clean Well sanitizer too!! It smells so good. And love the nail polish color - I was on a pleasant 14 hour flight last week and was devouring my InStyle, Elle, Vogue, all that good stuff and read that blue is the "in" color for nails! Super cute! Yay for Sparkly nail polish!! Happy July 4th weekend! Lindsay, so glad to have you over at squeezing it all in! I love your post ... looks like a "little things" list to me! Have a really great 4th! Happy 4th! Is that today? Get confused with the time zones. Think so anyway! alcohol free and smells like an orange? totally need that! my nephews love playing with my Bath & Body Works hand sanitizer key chain :) this would be great for them too! thanks for sharing doll! 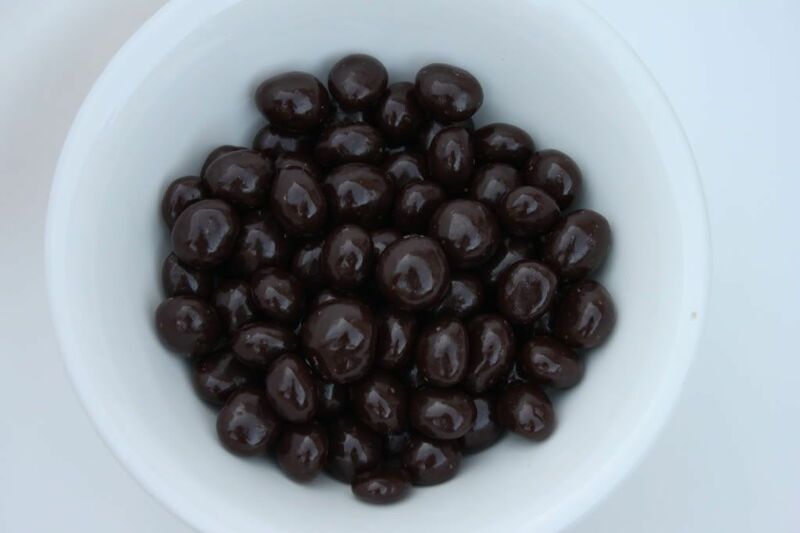 Dark Chocolate Espresso Beans - I am craving those right now! Great blog, girl! What a cute nail polish color! Ooh that lip balm is great - I love packaging that tells it exactly how it is! Unnfff. Chocolate covered expresso beans are DANGEROUS. OH I love dark chocolate covered espresso beans! yum!